Extract archive content to USB flash formatted FAT32. Insert USB Flash into IPC3 and boot "UEFI: Build-in EFI Shell" option from the boot menu (press F7 during IPC3 power-up). The automated script will process ME update to version ME 11.8.503425. Update ME firmware to 11.6.27.3264. Fix INTEL-SA-00075 vulnerability. 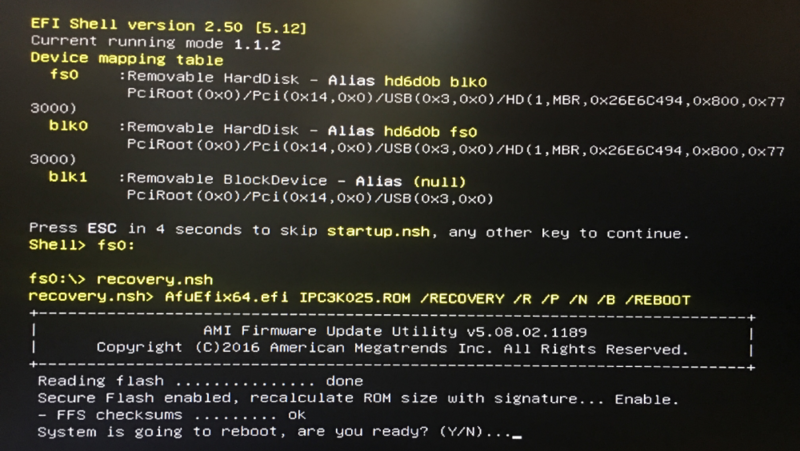 Disable PXE IPv4 boot by default in BIOS Setup. Update Kabylake-U CPU micro-code. Fix Kabylake hyper-threading bug. 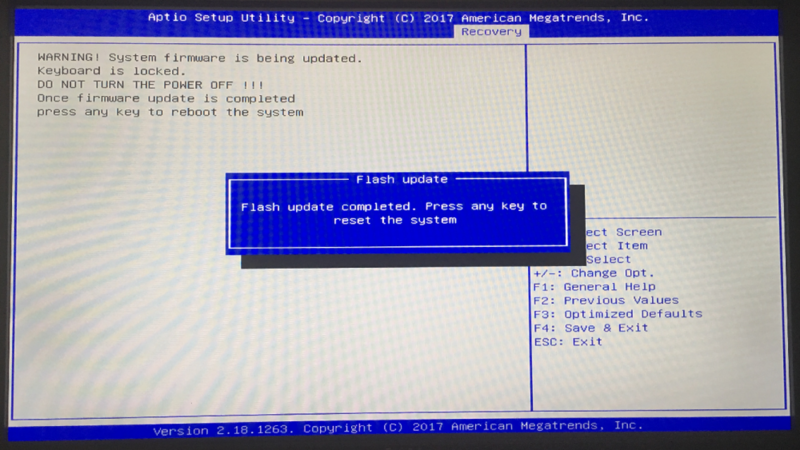 Change Boot Option Policy set Place First option as default. Copy archive content to USB Flash formatted FAT32. Disconnect all storage from IPC3 (SATA/USB). Plug USB Flash into IPC3 and power on. 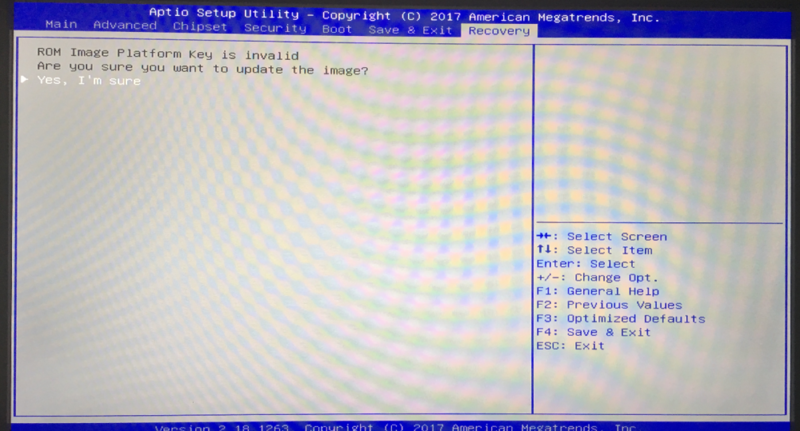 Press F7 key for BIOS boot menu, choose "Build-in EFI Shell" option. Switch to file system of USB Flash by fs0: command. 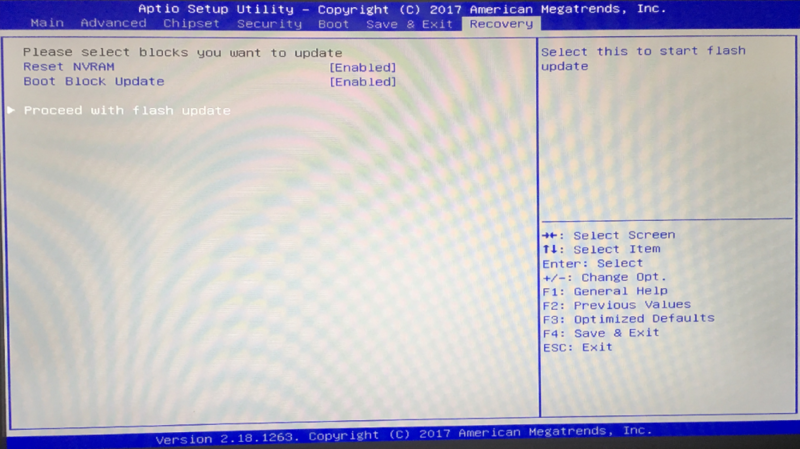 After the update IPC3 will reboot automatically.